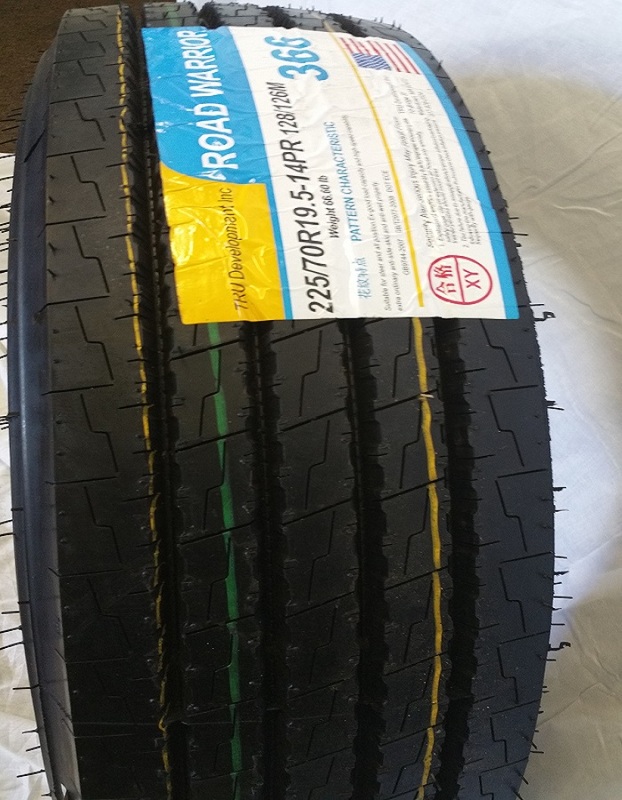 ROAD WARRIOR TIRES IS A PREMEMIUM QUALITY BRAND MADE WITH GERMAN TECHNOLOGY AND GRADE A RAW MATERIALS FROM MALAYSIA, PREMIUM QUALITY IS GUARANTEED OR YOUR MONEY BACK IN FULL. 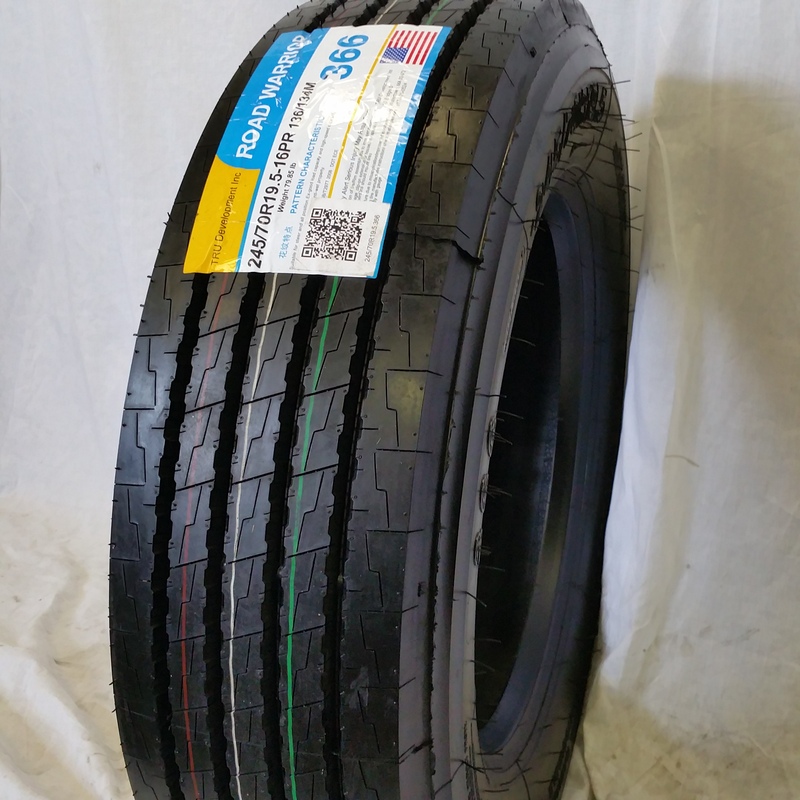 NEW ROAD WARRIOR ALL POSITION NEW PREMIUM QUALITY TIRES 50,000 Miles Warranty 225/70 R19.5 Load Index 128/126M The tire brand is ROAD WARRIOR #366. The tires are heavy duty 14 ply. 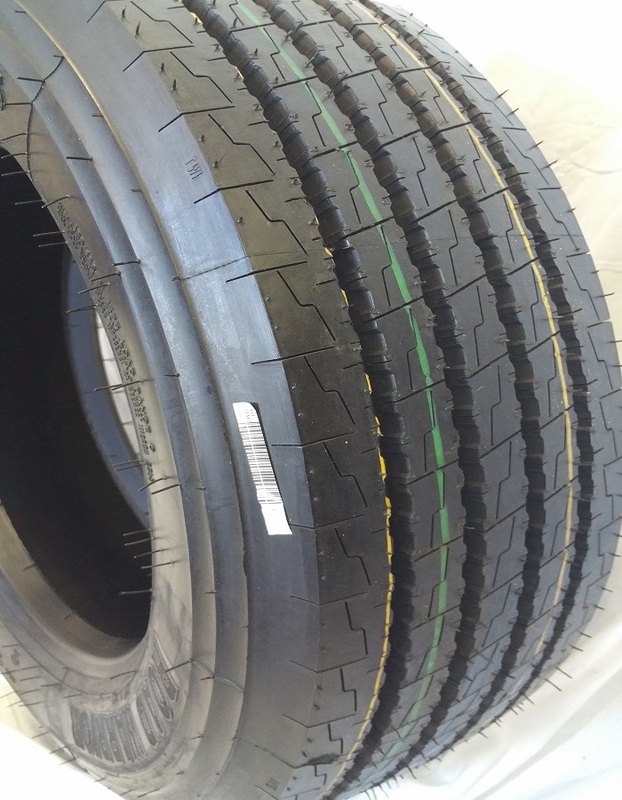 These are brand new, never installed tires. 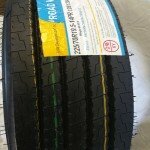 Why spend up to $150 for a recap tire when you can have a brand new reliable tire for a little more? Designed for P&D and regional applications, the #366 is an all-position tire built for strength, durability and long-term use. It features a 5-rib design for precise handling, lateral stability and superior traction. The #366 commercial truck tire is built with protective sidewall ribs to withstand the day to day abuse from curbing, cuts and abrasions. Additionally, it is equipped with block-shaped stone ejectors to help prevent stone wedging that causes damage to the tire.